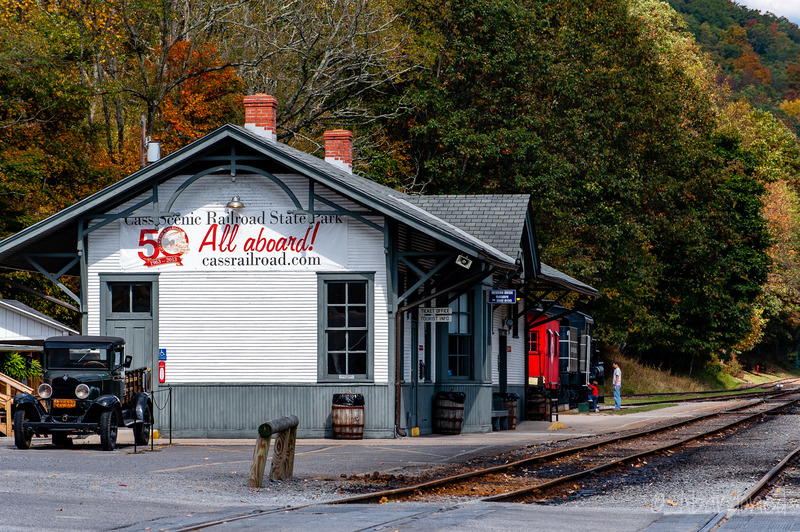 The Chesapeake & Ohio Railroad (C&O) Greenbrier Division is a former railroad in the Greenbrier River valley in Greenbrier and Pocahontas County, West Virginia. 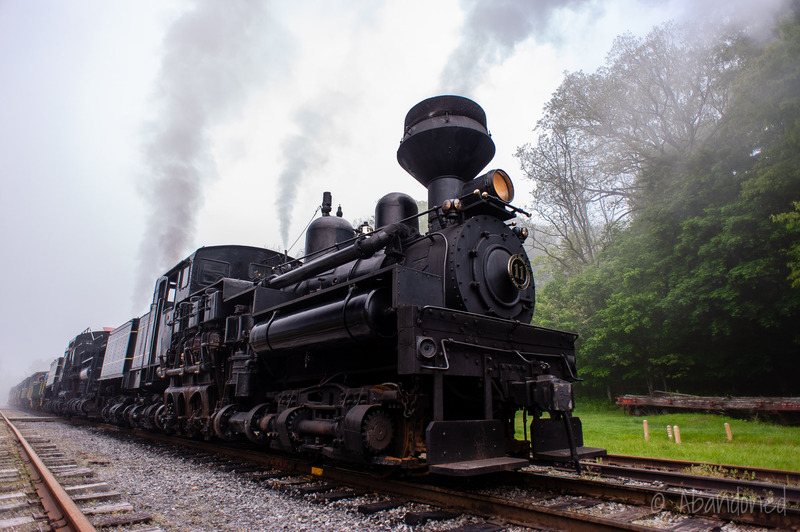 The 101-mile line was one of the C&O’s primary branch lines for timber products and served more lumber companies than any other in the state. 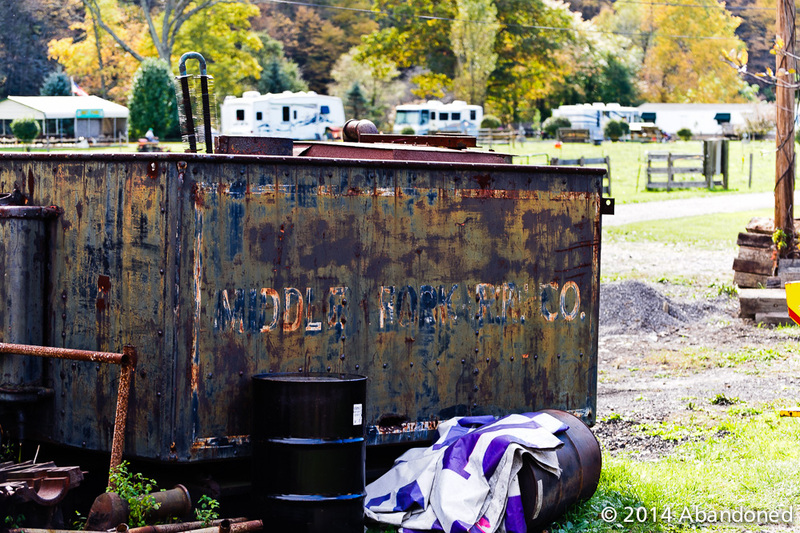 Until the late 1800’s, the upper Greenbrier River valley was isolated, with scant settlements and a few farms. 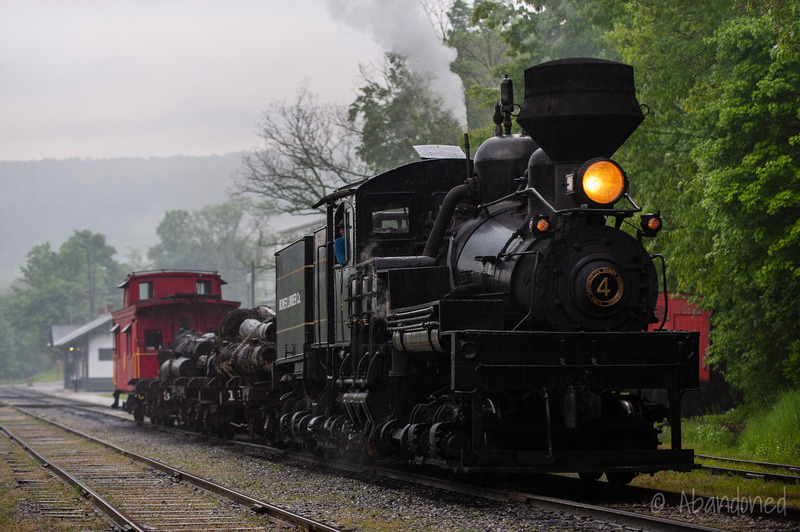 Planning for a railroad along the Greenbrier River only commenced when the Chesapeake & Ohio Railroad (C&O) was completed between Richmond, Virginia and the Ohio River in Huntington, West Virginia. 1 The line, a combination of the Virginia Central (VC) and the Covington & Ohio railroads, merged after the Civil War to form the C&O. The predecessor to the VC, the Louisa Railroad, was chartered in February 1836 to connect Richmond with points west. 1 In 1850, the Louisa was renamed to the VC. By the end of the Civil War, the VC connected Richmond to Clifton Forge and Covington. The Covington & Ohio was formed in 1853 to connect Covington and the Ohio River. It was finished to White Sulphur Springs by July 1869 and to the Ohio River in January 1873. 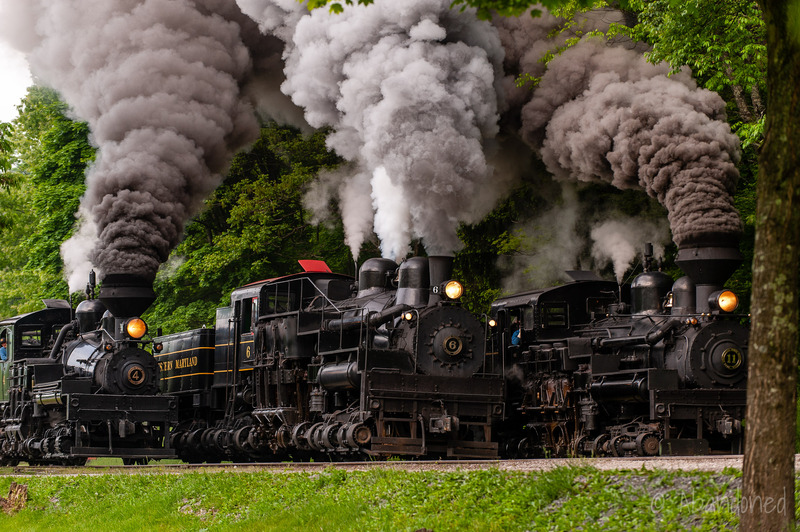 The Monongahela & Lewisburg Railway, incorporated in 1865 to build a railroad from Pennsylvania through Morgantown, Fairmont, Clarksburg and Buckhannon, West Virginia to the C&O. The line was never built. The Washington, Cincinnati & St. Louis Railroad, chartered in 1872 to build a railroad from Washington D.C. west through Monterey, Virginia and Point Pleasant, West Virginia. It would connect to Cincinnati and St. Louis. The line, outside of some grading near Harrisonburg, Virginia, was never finished. The Chicago, Parkersburg & Norfolk Railway, proposed to run from Parkersburg south to White Sulphur Springs, would have included a 2,850-foot tunnel and 7,400-feet in trestles and bridges. It was never constructed. There were over a dozen other proposed railroads that never came to fruition. 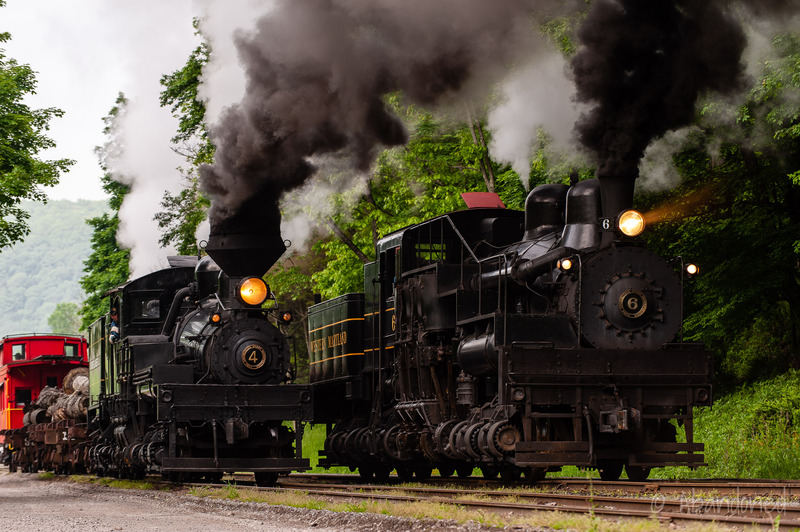 It was not until December 1899 that the West Virginia & Pittsburgh Railroad (WV&P) was formed in an agreement with the Baltimore & Ohio Railroad (B&O). 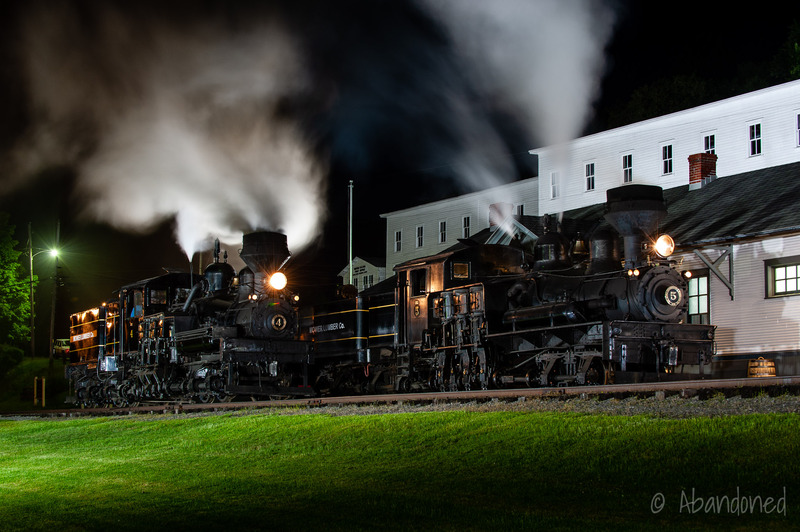 1 The WV&P was a consolidation of two small railroads that connected Weston and Buckhannon with the B&O. 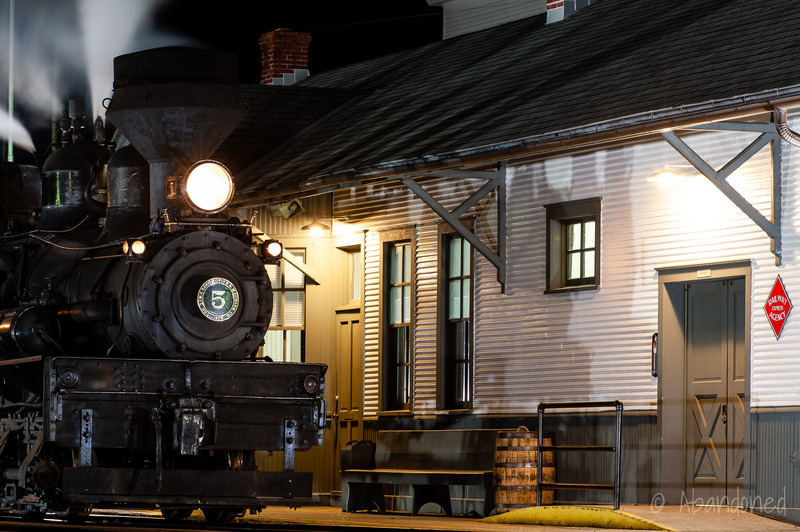 The B&O agreed to provide financial assistance and to lease and operate the railroad. An extension of the WV&P was proposed from Weston south to Flatwoods along the Elk, Gauley, and Williams rivers, and then to the east towards the Greenbrier River valley. 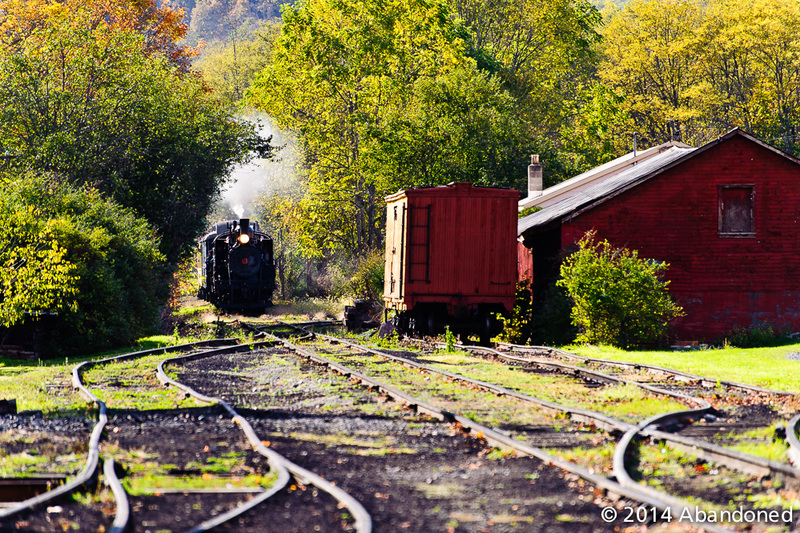 1 The WV&P would junction the C&O at Covington, Virginia. It was later determined that the C&O’s Hot Springs branch could be extended west into Pocahontas County, West Virginia and intersect the WV&P near Marlinton. By 1891, the WV&P had narrowed a route towards the Greenbrier River valley via Williams River and Stony Creek. 1 The C&O would arrive from the east and traverse down 10th Street and junction the WV&P at 2nd Avenue in Marlinton. The WV&P would cross the Greenbrier River and head west towards Flatwoods. The C&O yard would be located between 6th and 8th Avenues along 10th Street, with the shops located closer to 11th Street and 4th Avenue. The WV&P yard and shops would be located along the Greenbrier River and 1st Avenue near 6th Street. Market conditions held off any construction of the WV&P and C&O. 1 The WV&P was forced into receivership in 1898 and was sold to the B&O in 1899. Eventually, WV&P’s route along the Williams River was built by the B&O to Richwood where it served the Cherry River Boom & Lumber Company’s mills. Logging railroads extended east from Richwood but none connected to the Greenbrier River valley. 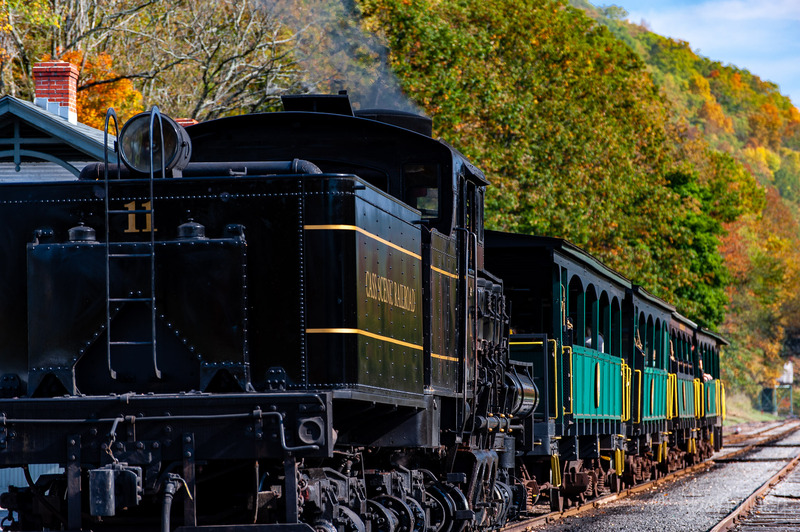 The C&O chartered the Greenbrier Railway Company on November 16, 1897, to construct a line from the C&O west of White Sulphur Springs to the Forks of the Greenbrier River in Pocahontas County. 2 Surveying began in Marlinton on April 9, 1898, and by June work had proceeded south to Caldwell. The crew turned around and completed a more detailed survey on their way back to Marlinton, arriving in October. Right-of-way acquisition for the Greenbrier Division began in March 1899 and the first construction contract was let in April for a five mile from Whitcomb north. 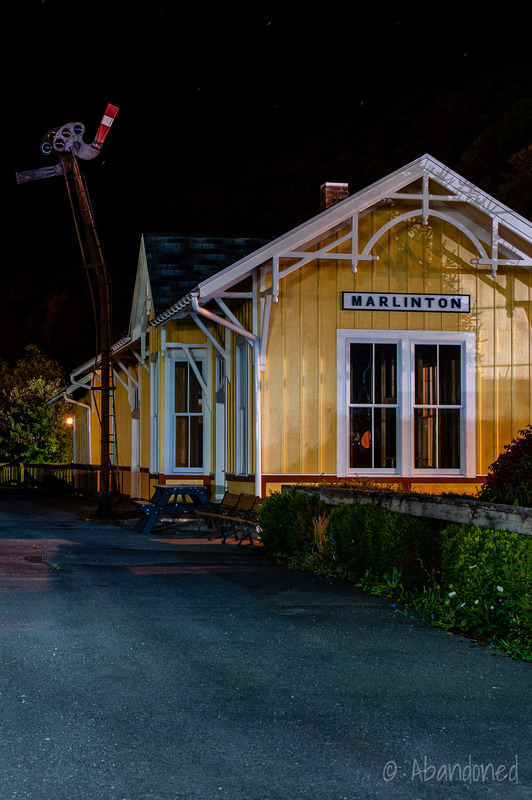 2 The first train arrived in Marlinton on October 26, 1900, and regular passenger service between Whitcomb and Marlinton began on December 17. Work soon began on the C&O north of Marlinton to serve the West Virginia Pulp & Paper Company (WVP&P), who had desired pulpwood from Cass for its new paper mill in Covington. 2 The company had started up operations in Covington in March 1900, but finding timber was proving difficult. 6 Ties became desperate that the WVP&P attempted log drives down the Greenbrier River. By November 6, the track had been laid across a temporary bridge over the Greenbrier River at Sharps Tunnel, and Cass was reached by December 25. 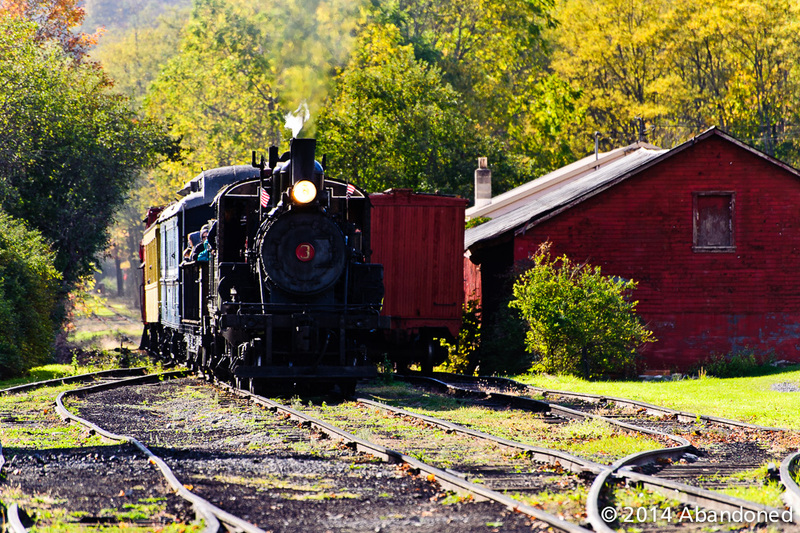 An extension north to Durbin was built from June 1901 to May 26, 1902, where C&O interchanged with the Coal & Iron Railroad, later a part of the Western Maryland Railway (WM). 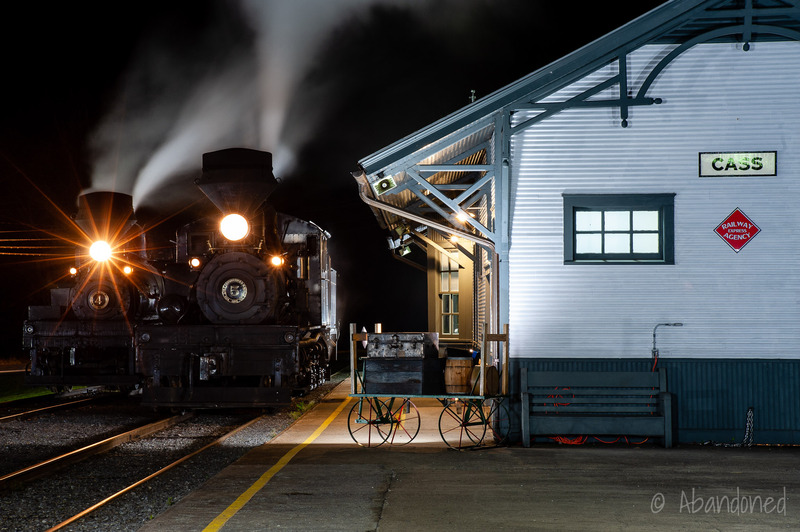 A contract to extend the C&O east to Bartow was let in August 1903 and opened in April 1904, followed by an extension east to Winterburn, which was built between March and June 1905. The WVP&P subsidiary, the West Virginia Spruce Lumber Company, opened a pulpwood plant in Cass on January 28, 1901, with the pulp sent to Covington for processing into paper. 6 The WVP&P had intended to timber the nearby forests for spruce and hemlock for pulp for paper products, but after rich hardwoods were discovered, such as maple, oak, and birch, the WV&P constructed a double-band sawmill. Hauls along the Greenbrier Division peaked circa 1910 as timber tracts were exhausted. The introduction of commercial tree farms in the early 20th century led to some stabilization of the logging industry, but it was not enough to start a slow and steady decline in output. 5 Many of the small mills along the route began to close, but traffic was augmented by the opening of several big band mills. 6 Cass expanded operations, adding a tanning extract plant for waste bark in 1913-15, which allowed the WVP&P to manufacture hemlock and spruce bark extracts. 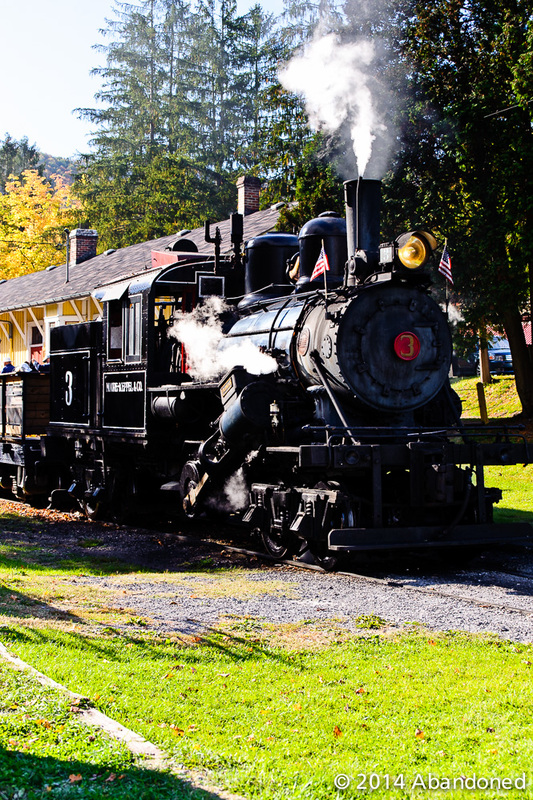 By the late 1910’s, the railroad was hauling 1,200 carloads of livestock out of the Greenbrier Valley to slaughterhouses and regional markets. 5 This was more than double the number that existed only 40 years prior, partially through fenced pastures that replaced open grazing methods, improved breeding methods, and additional pastureland. 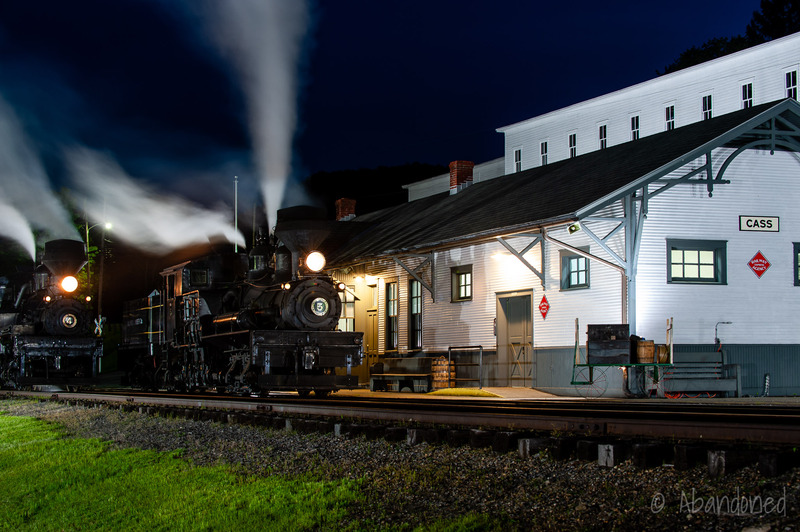 In late 1923, the C&O reached an agreement with the Western Maryland Railway (WM) to interchange cars at Durbin and create a through north to south route. 6 Through trains began operating between Ronceverte to Elkins on January 1, 1924, after heavier rail was installed on the Greenbrier Division. It’s early success led to a second through train in October and the construction of a new side track at Durbin in 1925. 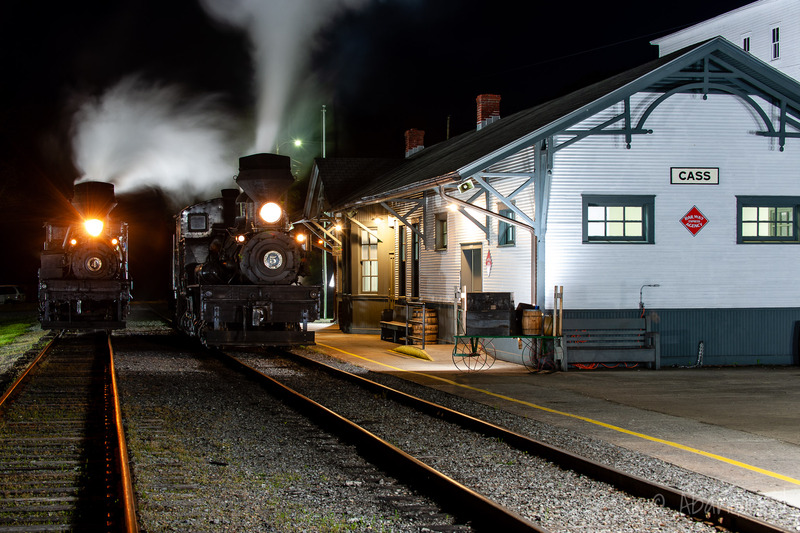 The first agency to be closed was at Hosterman on April 15, 1919, after the sawmill closed up in 1912, followed by Winterburn on July 1, 1920, although passenger service remained to Winterburn until July 1923. 6 On September 15, 1928, the Anthony, Bartow, Beard and Sitlington agency stations closed, followed by Raywood on July 22, 1929. Passenger service by the Greenbrier Division was discontinued on January 8, 1958. During the 1930’s, the C&O proposed a 32-mile extension of the Greenbrier Division into Pendleton County via the East Fork of the Greenbrier River to Poca Lick Run, Walderman Run, and the North Fork of the Potomac River to the Mouth of Seneca. 6 The advent of the Great Depression nixed the proposal. In June 1942, with all of the regional virgin timber extracted, the WVP&P divested of its Cass operation to the Mower Lumber Company. Mower began to cut into the second-growth timber stands at Cheat Mountain, but lower production volumes and lower revenues. Mower closed its Cass plant on July 1, 1960. Following the closure, the rail lines operated by Cass were sold to the Midwest Raleigh Corporation for scrap. 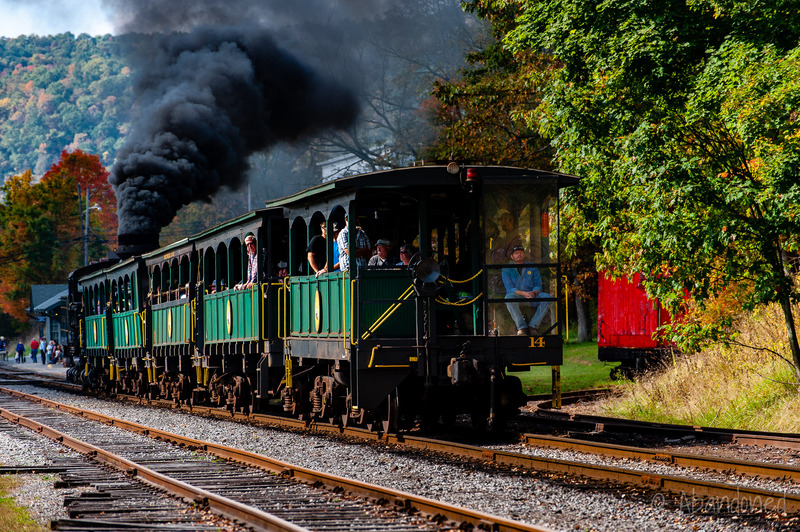 A group of local businessmen, led by railroad enthusiast Russell Baum, convinced the state to make Cass a state park. 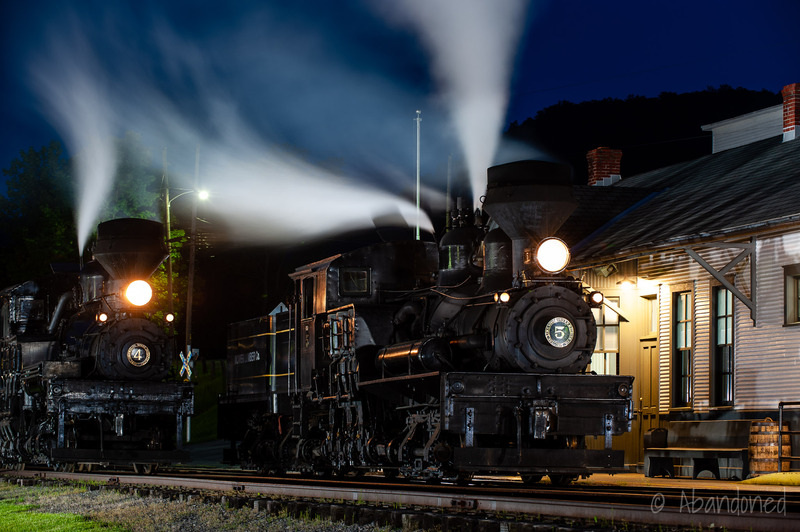 After years of rehabilitation, Cass Railroad State Park operated its first excursion train from Cass in 1963. Elsewhere, the C&O was in on-again and off-again discussions with the U.S. Army Corps of Engineers on track realignment proposals as the Corps had proposed several flood control projects along the Greenbrier River. Relocation of a portion of the Greenbrier Division had been discussed as early as 1936 when the Corps studied several flood control projects. 3 The issue was brought up again in October 1967 when the Corps submitted a proposal to relocate 24 miles of the line from Marlinton to Cass. The new route would have paralleled the original line to Thorny Creek before gaining elevation. About one mile from Sitlington, the relocated line would cross Peters Mountain either via a tunnel or deep cut. The relocation would cut the Greenbrier Division by three miles and require the abandonment of Sharps Tunnel. The C&O proposed connecting the Greenbrier Division with the WM via the Williams River between Marlinton and Cowen in Webster County in 1967. 3 The idea had originally been conceived in 1964 as a way to connect the B&O’s coal shipments with the C&O terminals at Newport News, Virginia and to increase traffic on the Greenbrier Division. Building supplies at S.J. Neathawk in North Caldwell. J.B. Belcher & Sons closed their Durbin mill in 1968, 3 followed by the cessation of International Shoe in Marlinton in May 1970. With the closure of Belcher and International Shoe, traffic along the Greenbrier Division decreased by a third which led the C&O to consider abandonment of the line. 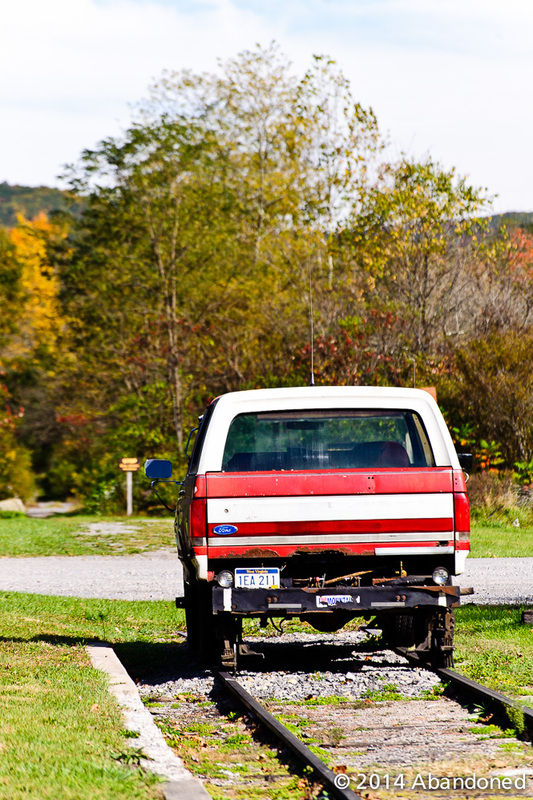 The C&O approved of the Greenbrier Division’s abandonment in December 1971 but continued to serve the existing customers until they could switch to truck hauls. 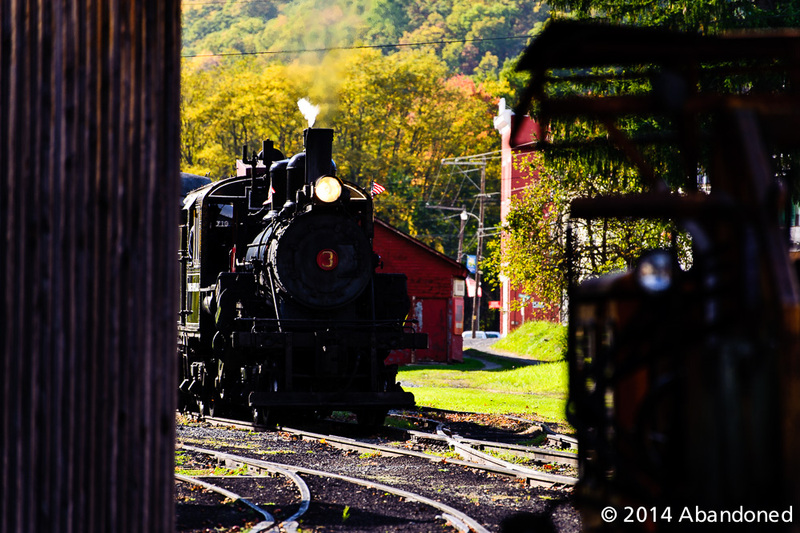 In 1974, the C&O switched to servicing the Greenbrier Division just one day per week, down from three per week. 3 Dissatisfied with the infrequent train service, the Westvaco pulp yard in Marlinton closed in March 1975, and the R.S. Burrus plant at Stillwell switched to truck hauls shortly after. 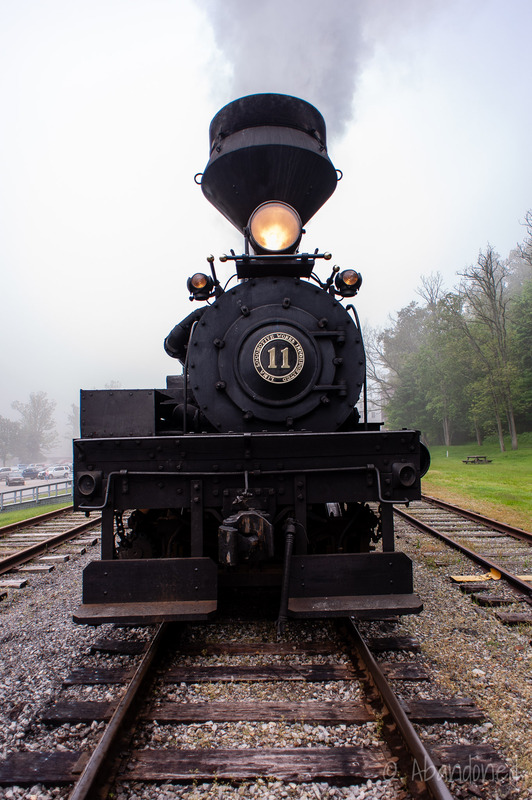 On March 18, the C&O requested permission from the Interstate Commerce Commission (ICC) to abandon 92 miles of the Greenbrier Division from North Caldwell to Cass. 3 Hearings were held in August 1977, and on August 16, 1978, the ICC granted the C&O permission to abandon much of the Greenbrier Division. On December 29, the route from North Caldwell to Cass was closed to traffic. 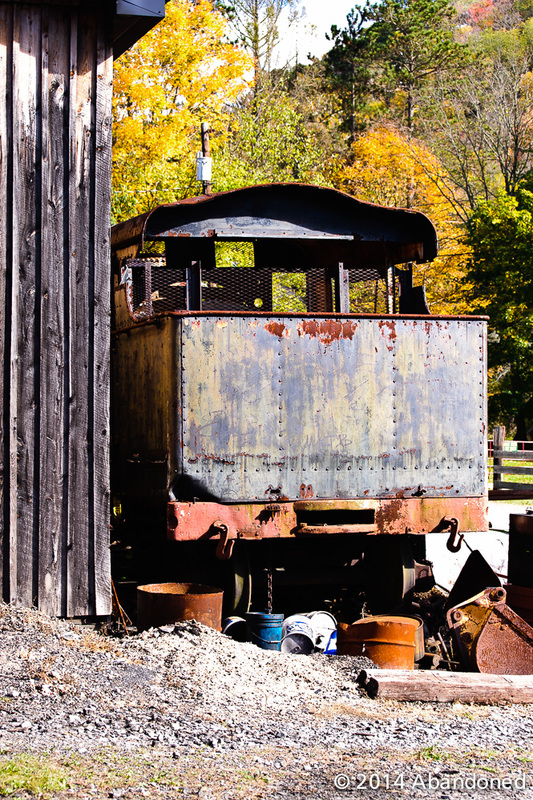 In 1975, 4 the West Virginia Railroad Maintenance Authority (WVRMA) was formed to monitor proposed railroad abandonments, find alternatives for customers along the affected routes, acquire lines for operation and “rail bank” selected routes for trail use. One of its first tasks by the WVRMA was to conduct a feasibility study of the Greenbrier Division to see if it was viable for the state to maintain as a short line. The study concluded that the route would have too few customers to operate profitably. The Chessie, the C&O’s successor, donated 92 miles of the out-of-service Greenbrier Division to the WVRMA for reuse for a multi-purpose trail. 3 The donation included the Marlinton and Durbin depots. 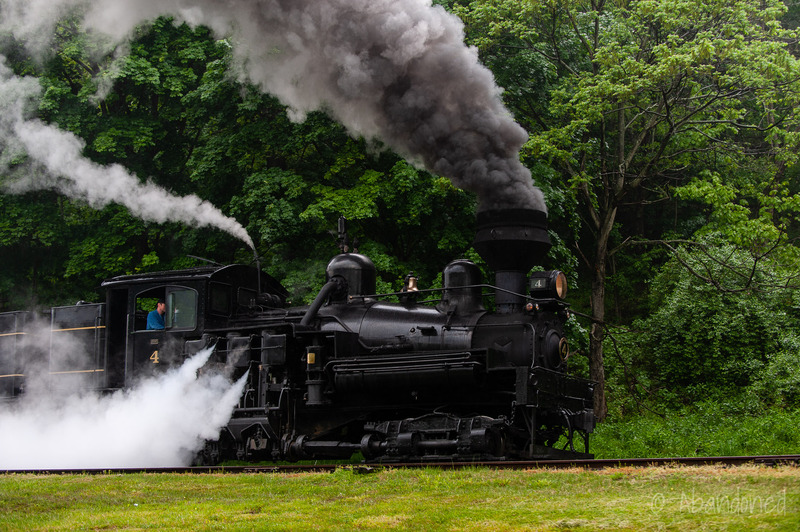 The Chessie also sold to the WVRMA its track between Cass and Durbin for the net salvage value of $598,730 so that the state could maintain railroad access to the Cass Scenic Railroad and for potential industrial developments. Development of the multi-purpose trail, dubbed the Greenbrier River Trail, was slow, as portions of it were damaged in a flood in 1985. 3 Federal Emergency Management funds were awarded in 1992 to repair the damaged sections, and the Greenbrier River Trail between North Caldwell to Cass opened in 1994. 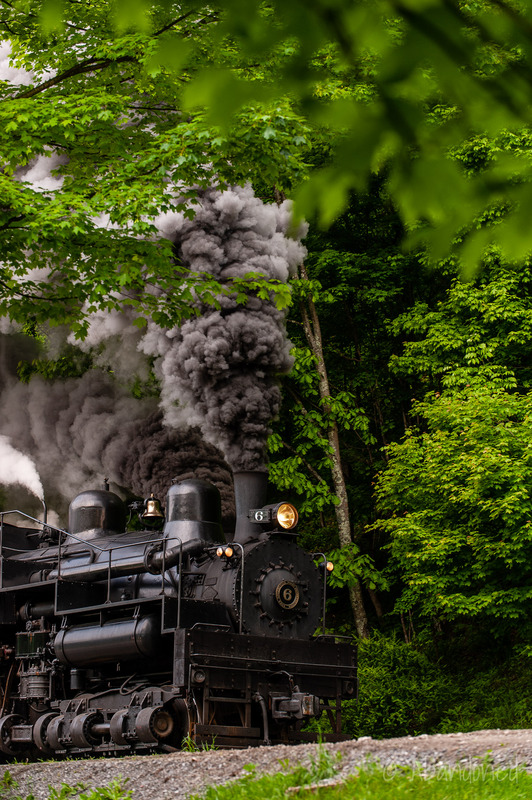 The 14-mile Cass to Durbin segment of the former Greenbrier Division saw limited traffic, as the Cass Scenic Railroad received its coal shipments by truck. 3 The potential industrial developments never materialized. The WM route from Durbin to Bartow saw a sharp decline in traffic after the C&O line was abandoned; it was believed that traffic would increase as the tannery and mill in Durbin and Bartow would ship via the WM. Inter State Lumber in Bartow opted to ship chips and sawdust by truck to a Westvaco plant in Luke, Maryland, and the Westvaco pulp yard in Durbin and the Howes Leather tannery in Bartow reduced the number of shipments it sent out via rail due to reductions in service. In June 1983, the WM, C&O and the B&O filed an application with the ICC to abandon the WM from the Greenbrier Junction to Durbin, and the C&O from Durbin to Bartow. 3 The final train operated over the line on September 25, and an approval to abandon was granted on December 6. Service officially stopped on February 15, 1984. A severe flood along the Greenbrier River in 1985 damaged the Cass to Durbin segment of the former Greenbrier Division, leaving Durbin stranded with no rail connections. Reconstruction of the affected segment began in the 2010’s, and as of 2018, 5.8 miles have been finished. The rebuilt segments have been raised several feet higher than the original line, and the curves have been expanded to widen the distance between the right-of-way and the river. 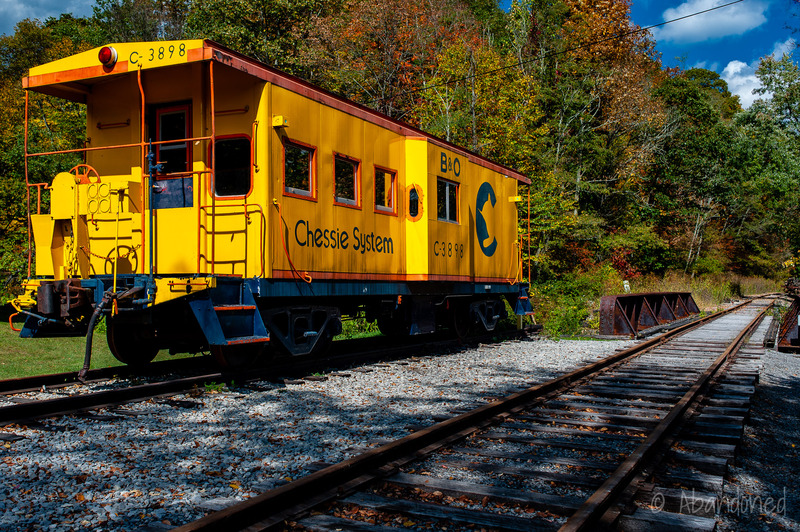 A Chessie caboose along the former C&O Greenbrier Branch at Cass. 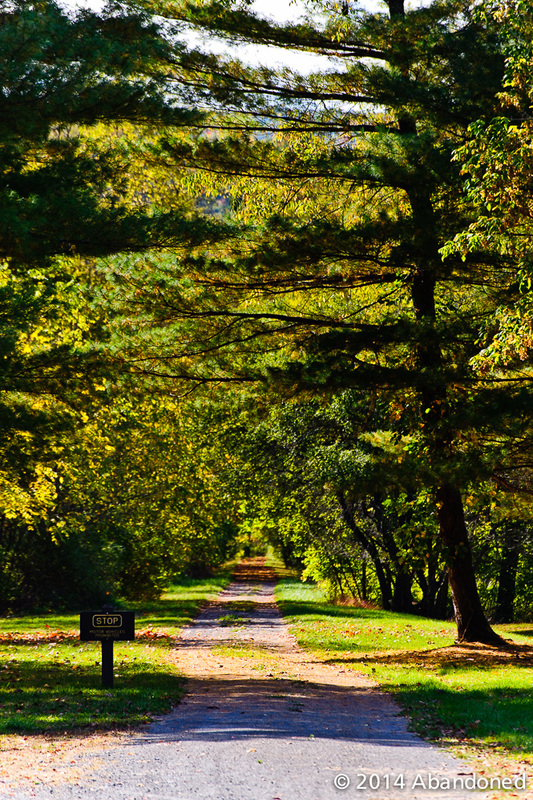 The Greenbrier River Trail operates over 70 miles of the former C&O Greenbrier Division. End of the line at Durbin. 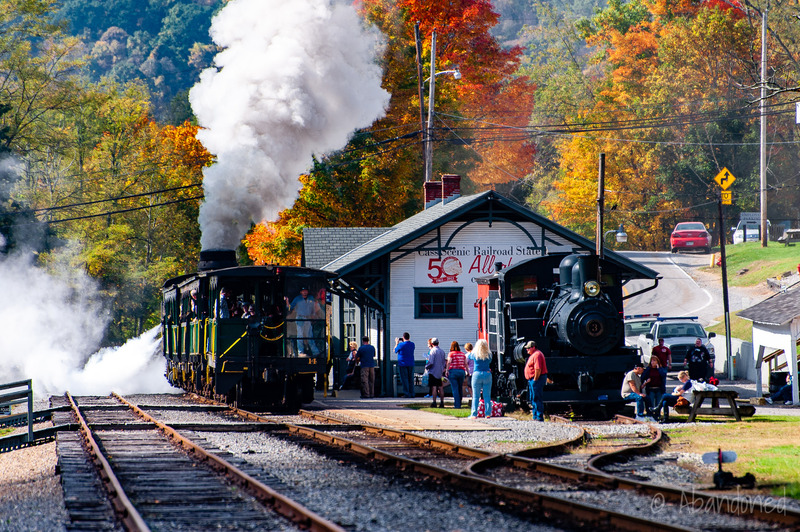 The Durbin segment is operated by the Durbin & Greenbrier Valley Railroad for scenic passenger excursions. McNeel, William Price. “Many Plans are Made.” The Durbin Route. Charleston: Pictorial Histories Publishing, 1985. 1-12. Print. “The Chesapeake & Ohio Builds a Branch Line.” 13-34. “Depression and the Final years.” 57-84. “State Rail Authority.” West Virginia Department of Transportation. N.p., n.d. Web. 16 Jan. 2014. Article. Pudup, Mary Beth, Dwight B. Billings and Altina L. Waller. 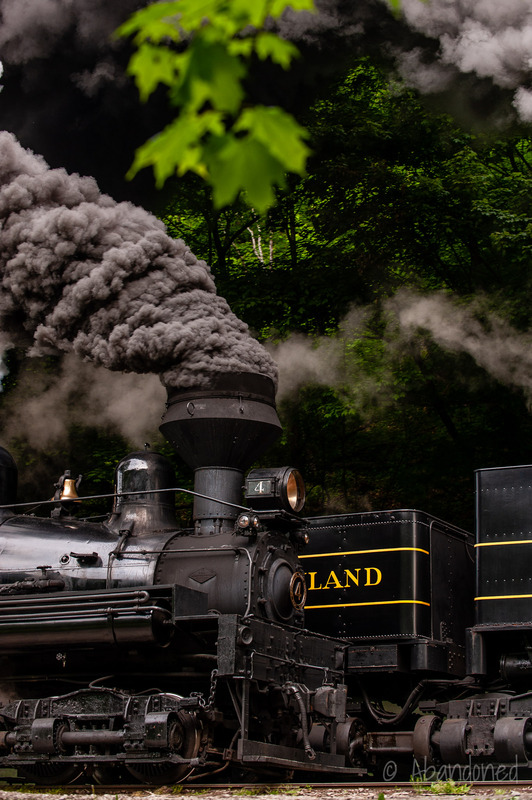 “Railroads, Deforestation, and the Transformation of Agriculture in the West Virginia Back Counties, 1880-1920.” Appalachia in the Making: The Mountain South in the Nineteenth Century. University of North Carolina Press, 1995. 307-316. Print. McNeel, William Price. “Busy Years.” The Durbin Route. Charleston: Pictorial Histories Publishing, 1985. 35-. Print. My pleasure Joshua! You all do a fantastic job down there and I can’t wait until the connection to Durbin is finished! 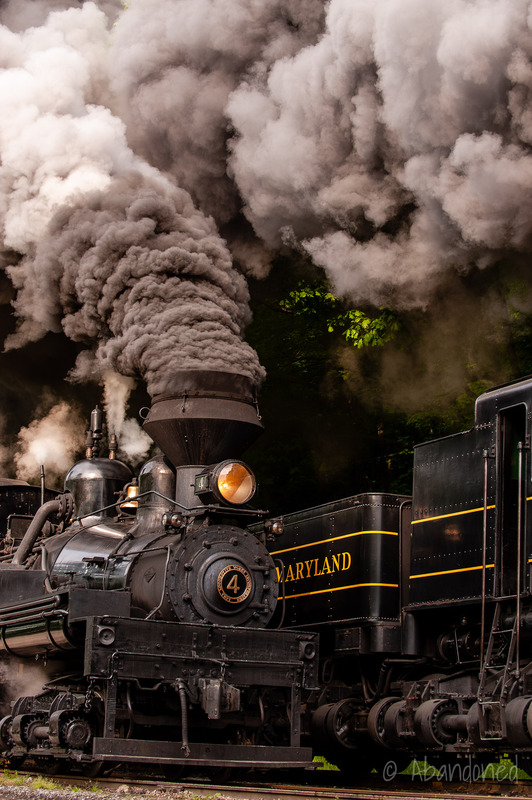 If I credit your organization, would it be all right for me to reproduce portions of this excellent article in literature for my upcoming exhibit titled The Age of Steam – How Trains Transformed Our Lives. I wanted to include the Greenbrier Line history. North House Museum is located in Lewisburg. 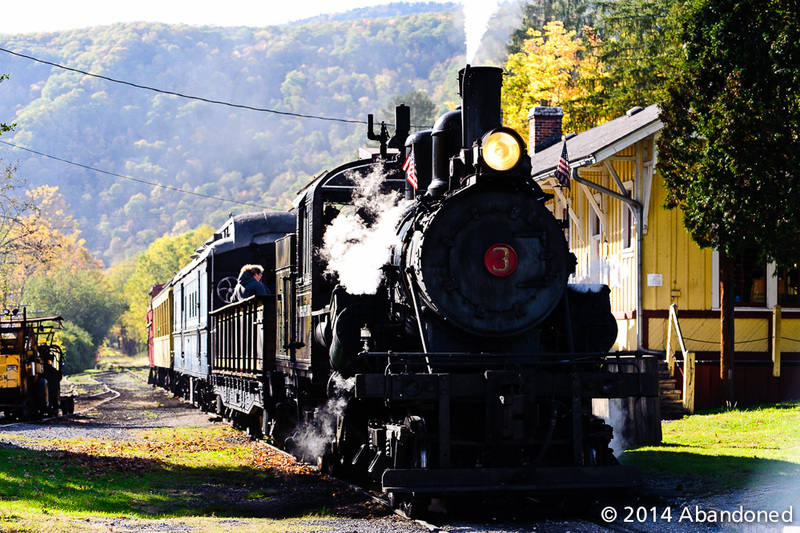 Many enjoy the rail trail along the Greenbrier River and don’t know the history. 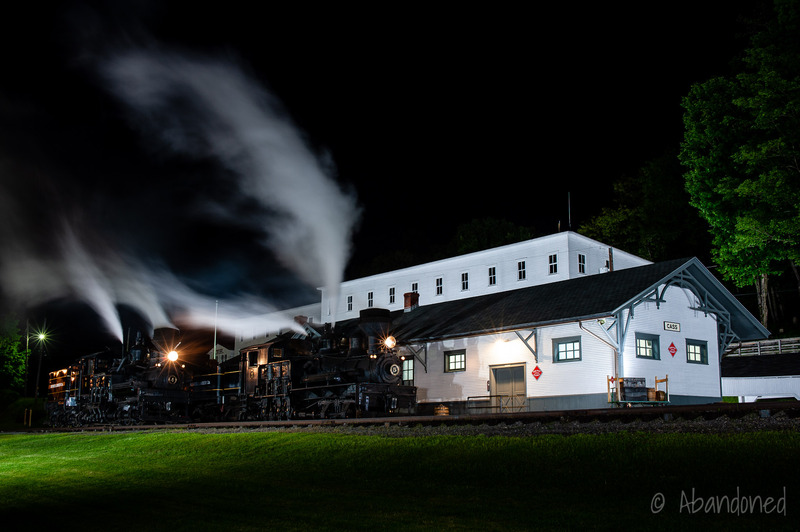 Part of my exhibit is to have a large map on a wall to show the various C & O railways in our area, including the L & R which operated here for 30 years, between Ronceverte and Lewisburg! 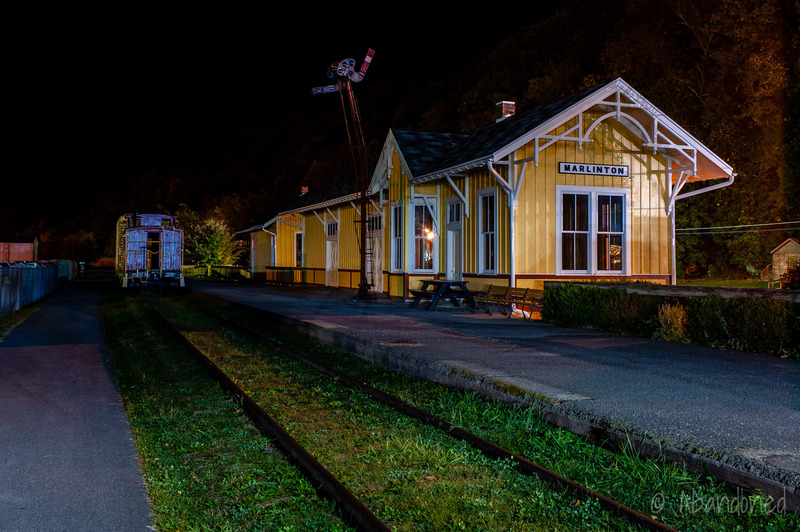 We are trying to move the old L & R station to the GHS’s property if we can find funds. Thanks for your time. It was a great read. Toni Ogden, Education Director, GHS. Toni, be my guest. Please credit “Sherman Cahal, Abandoned, abandonedonline.net” or of some variant. Thank you!